Our highly experienced Medical Spa team strives to be the leader in Vein, Aesthetic and Functional Medicine techniques. Veins return blood to the heart. The valves inside them may stop functioning correctly for a variety of reasons, causing leg pain and varicose veins. Skin aesthetic treatments range within a vast array of technologies. We will carefully examine your skin and tailor services to fit your needs, ensuring the best results. Our goal is to identify the root cause of an illness, help our patients optimize their biochemical balance, and achieve an overall state of wellness. We use a high-resolution imaging system to detect skin irregularities, UV damage, and quantify pores. We customize skin care treatment plans to fit our clients' individual needs. Dr. Biggs completed a six year general surgery residency program at The University of Texas Health Science Center at San Antonio, followed by a two year vascular surgery fellowship at UCLA. She previously held faculty positions as Assistant Professor of Vascular Surgery and Associate Program Director of General Surgery at The University of New Mexico Hospital. Additionally, she served as the Medical Director of the UNM Vein Center from 2010 until she founded her own practice in Santa Fe in July 2012. She is the only board-certified vascular surgeon in Santa Fe and northern New Mexico. In addition to vascular surgery, Dr. Biggs's professional passion is Functional Medicine. 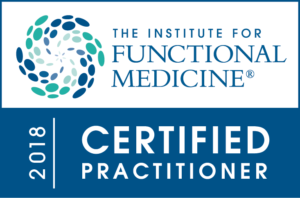 She began studying with the Institute for Functional Medicine in June 2016, and became recognized as an Institute for Functional Medicine Certified Practitioner (IFMCP) in May 2018. At the time of this posting in June 2018, Dr. Biggs is one of seven certified practitioners in New Mexico and one of less than 500 certified practitioners in the United States. She is the Medical Director of Santa Fe Functional Medicine. Dr. Biggs is very passionate about this approach to health care and is excited to be offering the Santa Fe Functional Medicine program to the community. Our Med Spa practice began as a center in which to receive quality medical care for patients with venous problems and skin care concerns. We started as a small practice, with a team of three. Our goal has been to be a leader in the fields of aesthetics, venous issues, and anti-aging medicine. Over the years, we have incorporated new ideas and technology as we have grown our team and our services. Our professional, welcoming, and considerate team at our Medical Spa is committed to providing knowledgeable and thorough explanations of our services and products, advanced treatment techniques, and the utmost level of patient and client care, enabling you to have an extraordinary experience. We treat vein problems including spider veins, varicose veins, and venous stasis ulcers. We offer advanced laser aesthetic treatments, body sculpting, and skin care services customized to your needs. We work with our functional medicine patients in order to optimize their biochemical balance and help them to live in a state of wellness. I found Dr. Biggs to be very thorough with her examination of my spider veins and my subsequent treatment. I have had sclerotherapy in the past and found her technique and results to be superior in every way. I used to spend half a day going to a vein center in Albuquerque for this procedure. I am happy that the best doctor is now in Santa Fe. Dr. Biggs is very knowledgeable and only did procedures that were medically necessary. Dr. Biggs is attentive, detailed & gives information easily. And her diagnosis & solutions work. I so appreciate Dr. Biggs --- on all levels, from bedside manner to didactic manner... I felt confident that I was in the best hands. I believe the service was exceptional. Dr. Biggs was not only professional and efficient in her care but she also made me feel like an old friend. I would definitely recommend Dr. Biggs to anyone needing the procedure I just completed. She's very professional, thorough, and spends the time necessary to put the patient at ease. I would not hesitate to recommend Dr. Biggs to anyone because I believe they will get the highest level of care available. Receive our practice newsletter and information about specials.